BA readers know already that the Skoda Rapid (sedan) launch is scheduled for December. As the official launch is just days away, Skoda India has released a teaser video of Rapid. 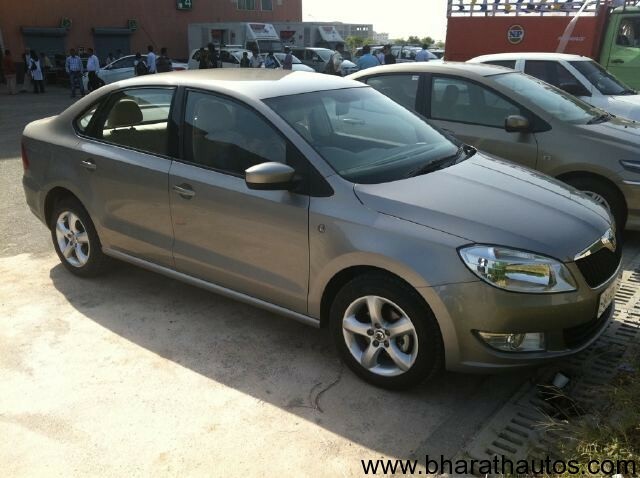 Skoda Rapid had made its debut before few days in New Delhi during NDTV Car and Bike Show’s 400th episode celebration. As no one has still driven the car till now, company has released a 30 seconds video saying “Worldwide First Drive” coming soon. Though we all have seen Skoda Rapid in broad day light, company seem to maintain the secrecy. So this video has been shot without showing much details of the car. The pair of 1.6 petrol and diesel motors will be shared with the Vento and Skoda could also spring a surprise by offering the diesel with an auto ‘box. As per VW’s pricing policy, prices are set to be a vital few thousands less than the Vento’s and this could seriously work to the Rapid’s favour in a cutthroat midsize market.